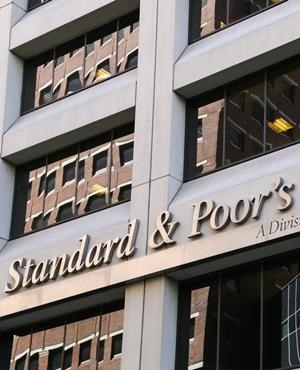 Cape Town - Ratings agency S&P Global Ratings on Friday evening kept South Africa’s sovereign credit rating unchanged. It affirmed SA’s rand debt at "BB+", first notch of sub investment grade, and kept SA’s foreign-currency debt unchanged at "BB", the second grade of junk status. The announcement was broadly in line with the expectations of economists. In its credit ratings announcement made at 22:30, S&P said that the country still faced considerable economic challenges. "Despite upward revisions, South Africa's economic growth remains tentative, and the government's debt burden continues on a rising path," it said. "After the recent political transition, authorities are pursuing key economic and social reforms, but we consider the economic and social challenges the country faces as considerable." The decision comes two months after rival ratings agency Moody's decided to keep SA at investment grade. At the time Moody's said it was of the opinion that the previous weakening of South Africa's institutions would "gradually reverse under [the] more transparent and predictable policy framework" of President Cyril Ramaphosa.